Your support for Alternatives is an act of solidarity with national and international social movements. Furthemore, it contributes to initiatives that have a direct impact on the lives of thousands of people. 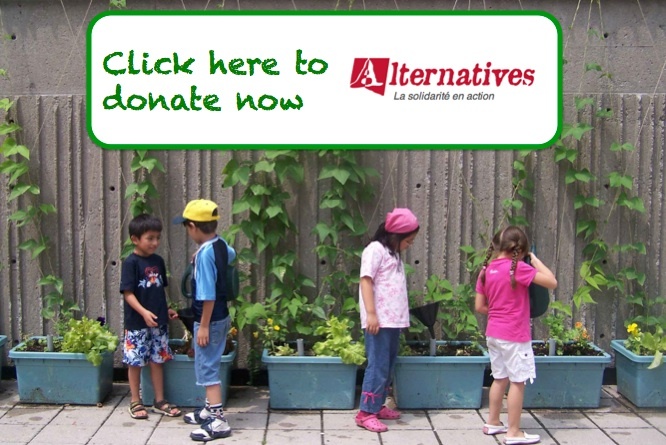 Thanks to your generous donations, Alternatives has been able to engage in the struggles for a healthy global environment and for democracy and human dignity all over the world. As a non-governmental organization, Alternatives relies on the financial support of individuals, philanthropists, businesses, unions and a number of governments to continue the work it has been undertaking since 1994. Alternatives will not trade, exchange, sell or distribute your email address or phone number to any other party. We ask for this information only to communicate directly with you and to send you your charity receipt. Alternatives uses Moneris to ensure secure transactions.